Why Do People Search for Original Buddhism? Was there a pure, original, or true Buddhism that has somehow been lost beneath sectarian division and devotional accoutrement? Many of the first westerners to make a study of Buddhism believed so, and it's an idea that persists among western Buddhaphiles to this day. First, let's look at where the notion of "original" Buddhism came from. The first western scholars to take an interest in Buddhism early were deeply steeped in European romanticism and American transcendentalism. These cultural and intellectual movements promoted the idea that religion is more about individual intuition and feeling than about institutions and dogma. And some of them imagined that "original" Buddhism, whatever that was, lived up to their spiritual ideal. "Orientalist scholars located 'true Buddhism' in the texts of the ancient past and delimited it to carefully selected teachings, excluding any consideration of living Buddhists, except reformers who themselves were modernizing their tradition in dialogue with western modernity. ... sympathetic Orientalists presented the Buddha as a protoscientific naturalist in his own time." At the same time, many of those who first presented Buddhism to the West, including Paul Carus, Anagarika Dharmapala, and D.T. Suzuki, "packaged" Buddhism to emphasize qualities that were most in sync with progressive western culture. As a result, many westerners got the impression that the Buddha Dharma is more compatible with scientific rationalism than it actually is. Also, as a result, many Westerners harbor the belief that there was an "original" Buddhism that had been buried under centuries of mystical Asian bric-a-brac. For a long time, this was how Buddhism was taught in western universities, actually. And westerners imagined this original Buddhism was something very much like the modern, humanistic philosophies they themselves embraced. "[T]he Buddhist tradition, taken as a whole, represents the richest source of contemplative wisdom that any civilization has produced. ...The wisdom of the Buddha is currently trapped within the religion of Buddhism .... 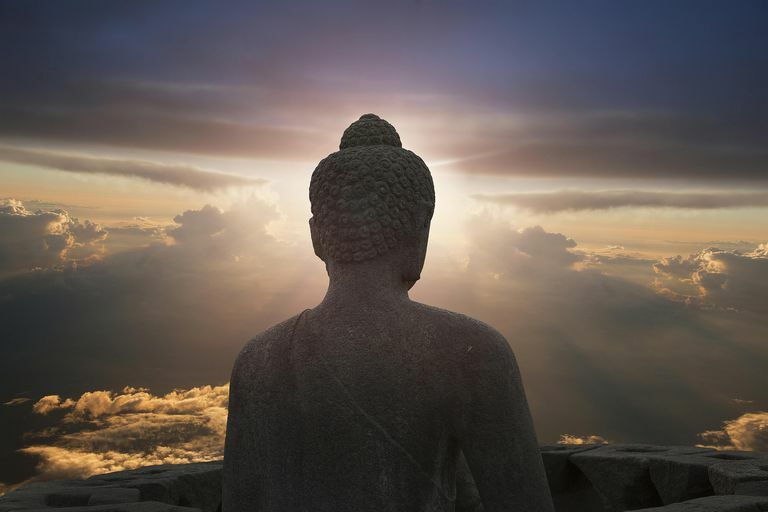 While it may be true enough to say (as many Buddhist practitioners allege) that 'Buddhism is not a religion,' most Buddhists worldwide practice it as such, in many of the naive, petitionary, and superstitious ways in which all religions are practiced." I run into two kinds of searches for "original" Buddhism. One type is exemplified by the so-called secular Buddhists who see Buddhism primarily as a humanist philosophy and not as a religion. Some of this group apply what they call a "rational" or "natural" approach to Buddhism, tossing out any doctrine too mystical for their tastes. Karma and rebirth are at the top of the discard list. Author Stephen Batchelor is a leading rationalist, for example. Oddly, instead of just assuming the Buddha was mistaken about these things, Batchelor has crafted elaborate intellectual houses of cards arguing that the Buddha didn't teach doctrines of karma and rebirth at all, even though many teachings about karma and rebirth are attributed to him. The other kind -- more rare, but they're out there -- are interested in Buddhism as a religion, but they are suspicious of the sectarian divisions. They are looking for the pre-sectarian Buddhism as it was preached by the historical Buddha. Some of them try to find this pre-sectarian Buddha in old scriptures, or at least someplace other than the many schools of Buddhism, making their own judgments about what is "pure" and what isn't. It seems to me both positions are weirdly stuck in the "revealed religion" model. A revealed religion is one whose doctrines were pronounced by a god and revealed to humankind in some supernatural way. Christianity, Judaism, and Islam are all revealed religions. Those doctrines that are believed to have been pronounced by God are accepted on God's authority. But Buddhism is not a revealed religion. The historical Buddha himself declared he was not a god, and he preached that no one should accept a teaching purely on authority, including his teaching. It makes no sense to me that the rationalists and naturalists don't just admit they disagree with the Buddha about some things, instead of creating a fantasy Buddha whose teachings perfectly reflect what they believe. Can we know with any certainly what the historical Buddha taught? To be honest, it can't be proved beyond a shadow of a doubt there even was a historical Buddha. Today, academic historians believe there was such a person, but there is little solid corroboration of his life. Gautama Buddha is largely an archetypal figure shrouded in myth; the earliest scriptures give us only occasional, fleeting glimpses of the human being he might have been. Second, given the hit-and-miss way his teachings were preserved, it's unlikely there will ever be perfect agreement among scholars on how much of the texts in the Sutta-Pitaka and Vinaya -- the scriptures with plausible claim to being his words -- are "original," or even which version of these scriptures is more "original" than the other ones. Further, the Buddha lived in a society and culture very alien to ours. For that reason, even if we could trust that his words were accurately recorded, we still might very easily misunderstand them. Even the term "Buddhism" is a western invention. Its earliest use dates to 1897, in an essay by a British surgeon. I understand there is no word corresponding to it in Asian languages. Instead, there is the Dharma, which can refer to the teachings of the Buddha but also to that which upholds the order of the universe -- not a god, but more like a natural law. I argue that to think of Buddhism as something immutable that was finalized 25 centuries ago is missing the point. Buddhism might best be understood as a tradition of spiritual inquiry. The Buddha established parameters and set ground rules, and those are very important. I'm perpetually telling people that Buddhism isn't whatever they want it to be. But it's the inquiry, the search, that is Buddhism, not the answers. The "answers" are the great, ineffable Dharma, beyond doctrine. "One way to make sense of the bewildering proliferation of Buddhist schools, doctrines, and practices over the last 2,500 years is to see them as a single, creative, ongoing effort to deal with the central problem of samsaric existence, which is the erroneous belief in an enduring, permanent self. Whether it is Zen, Pure Land, Theravada, or Tibetan Buddhist practice, all Buddhist paths teach practices that will effectively destroy the belief in this self." The Buddha's first sermon is called "the first turning of the dharma wheel." In other words, he didn't deliver teachings etched on stone tablets as much as set something in motion. What was set in motion is still in motion? And as the motion continued and spread, it found and is still finding new ways to be expressed and understood. Buddhism is a remarkable legacy and body of work that involved many of the great minds of Asia going back more than two millennia. This tradition of inquiry springs from a coherent and consistent set of teachings that comes to us from the earliest scriptures. For many of us, that's more than enough.